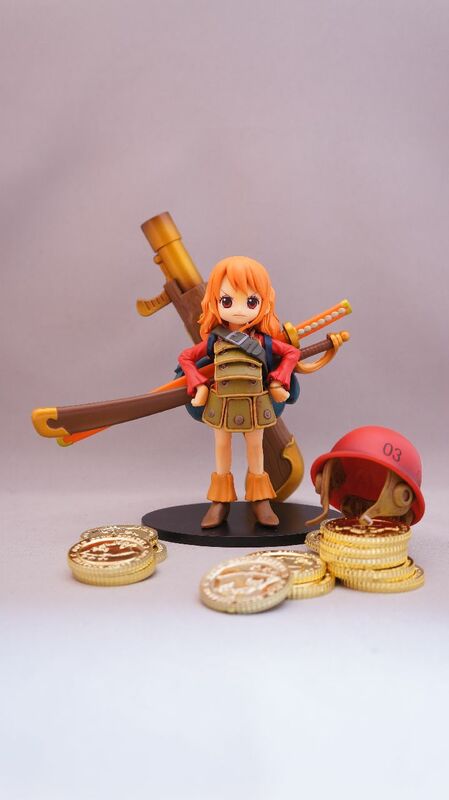 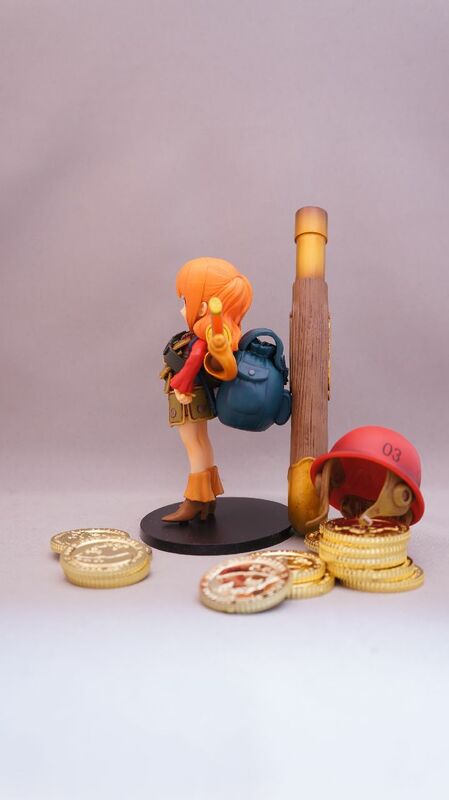 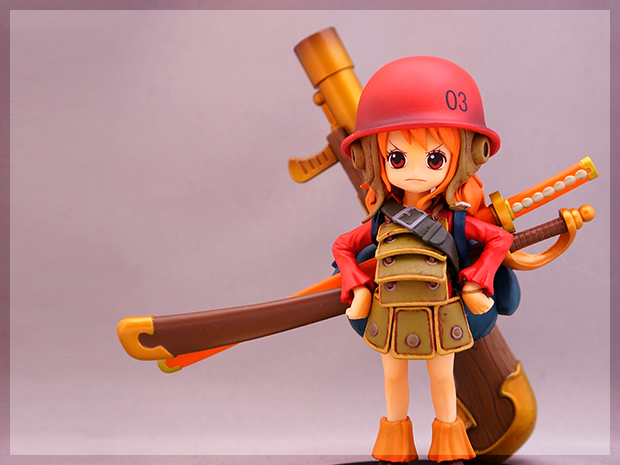 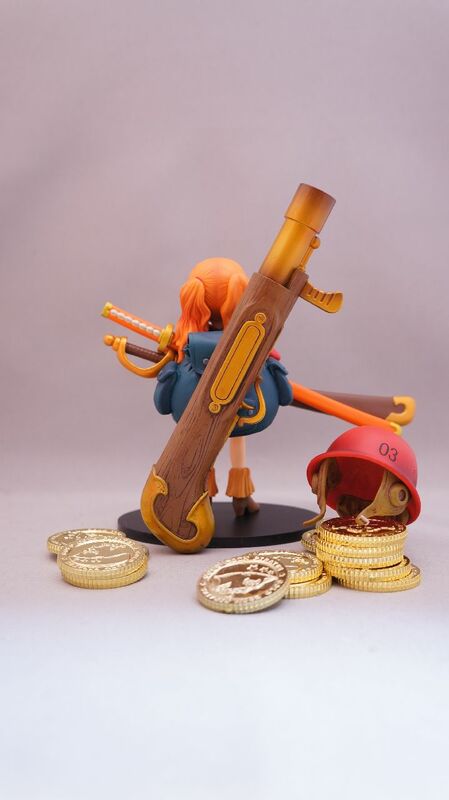 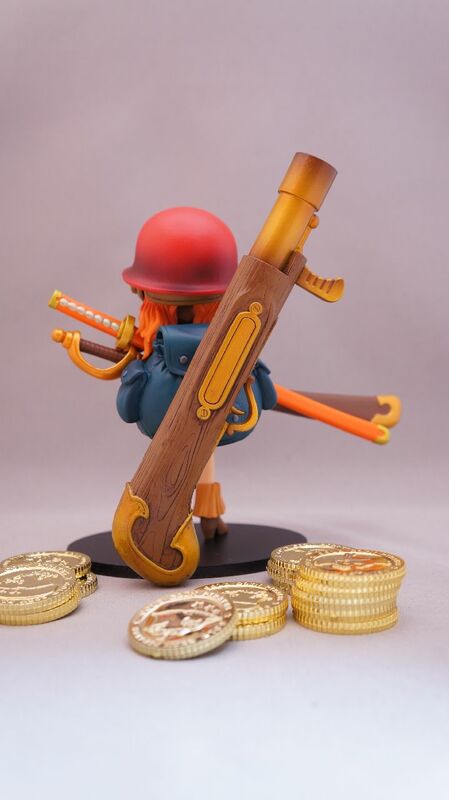 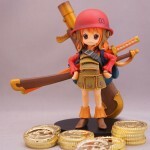 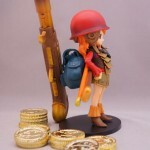 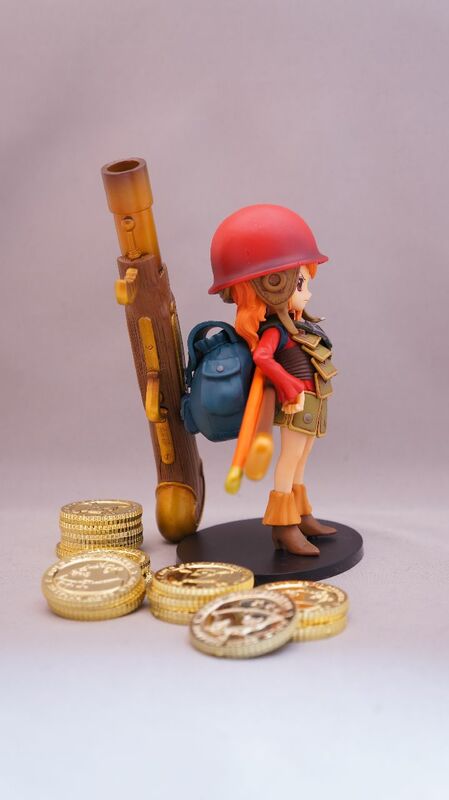 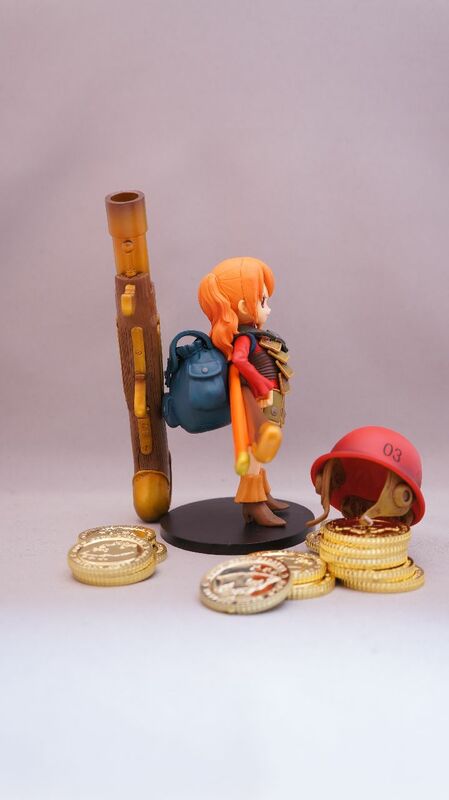 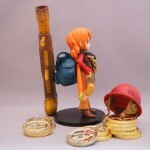 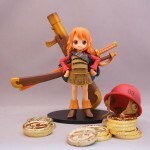 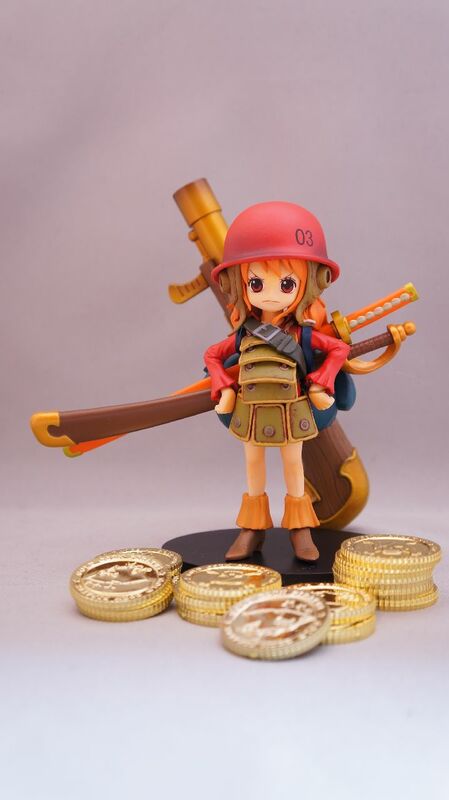 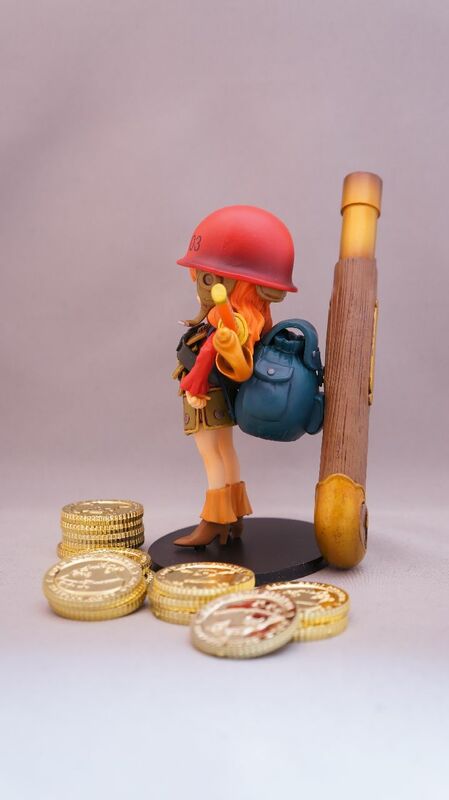 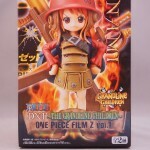 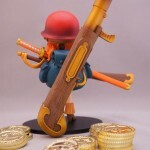 This is little Nami, when she was turned into a child in One Piece Film Z. I wonder how she is able to carry those large weapons on her back. 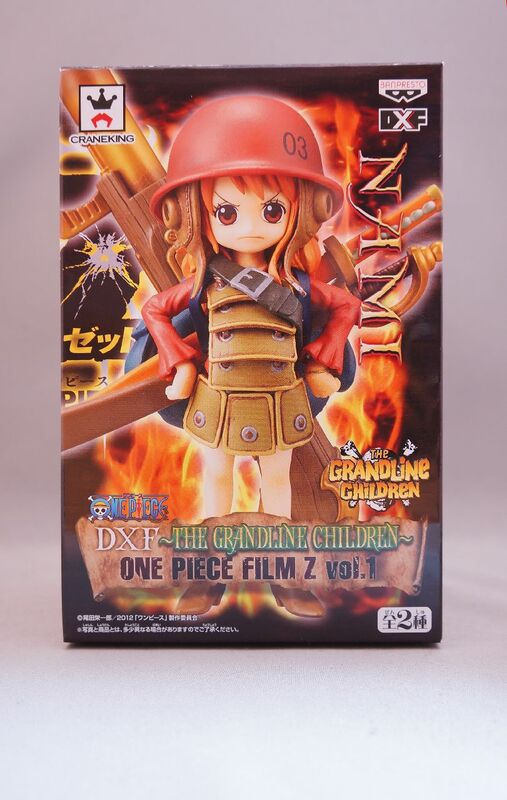 Looking for The Grandline Children – One Piece Film Z – Vol. 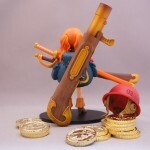 1 – Nami?